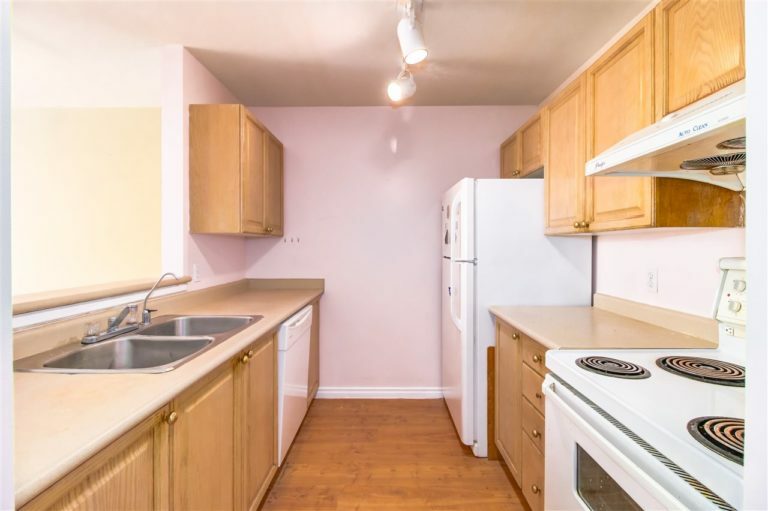 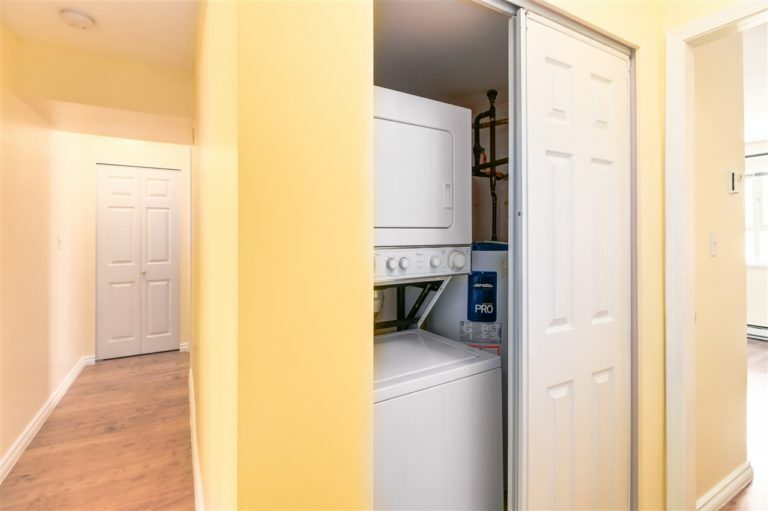 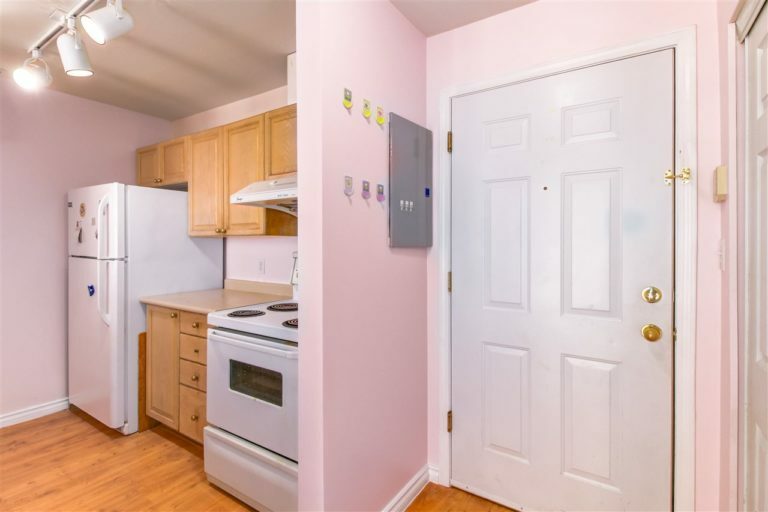 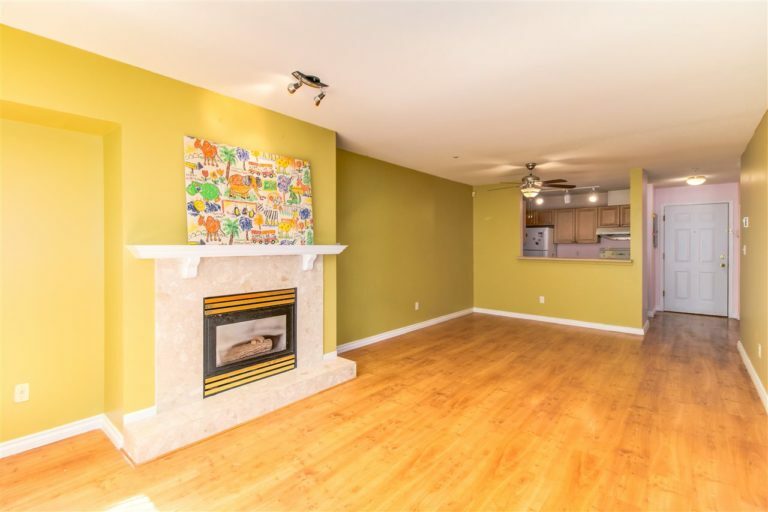 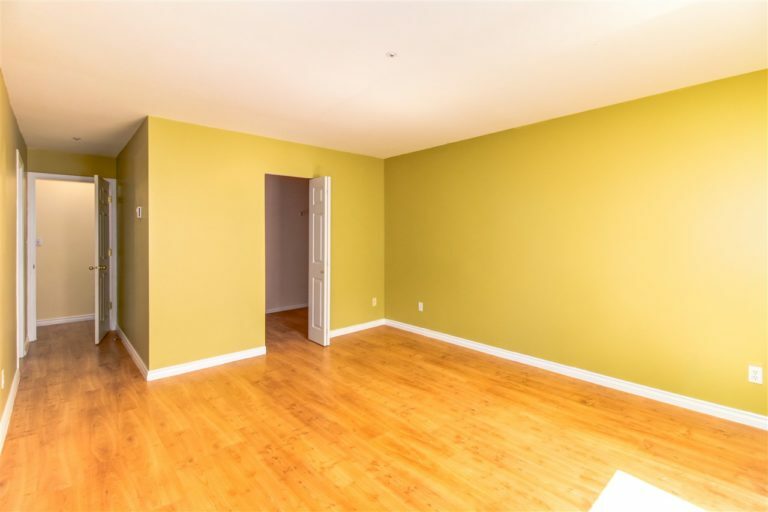 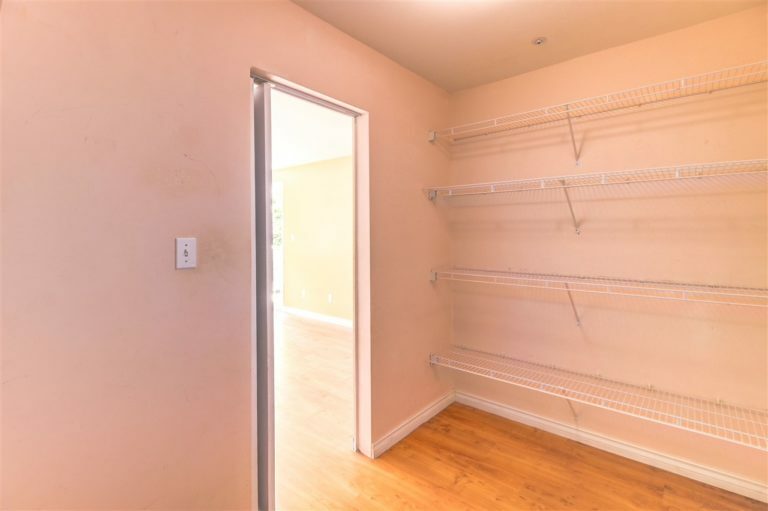 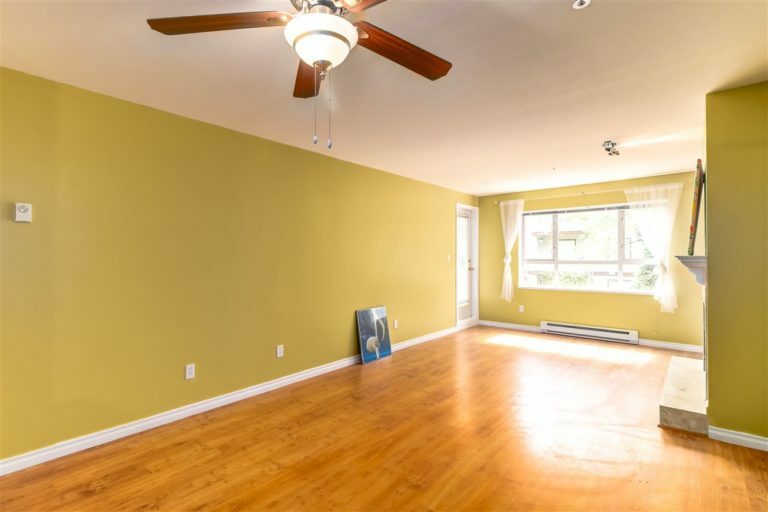 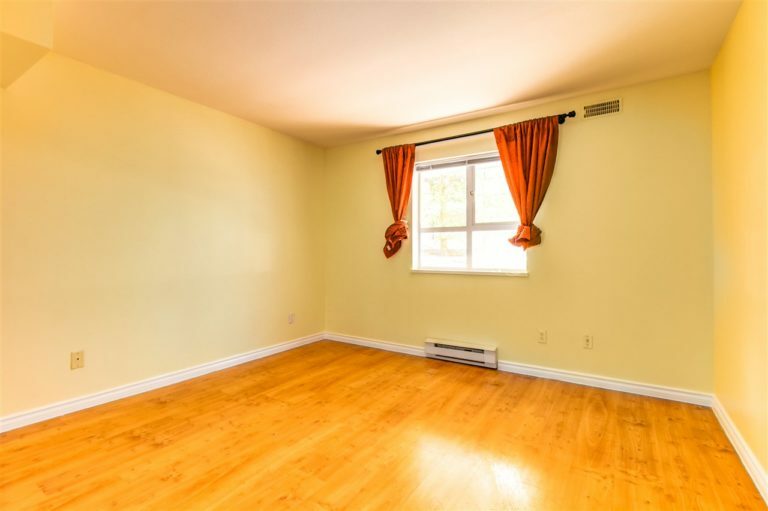 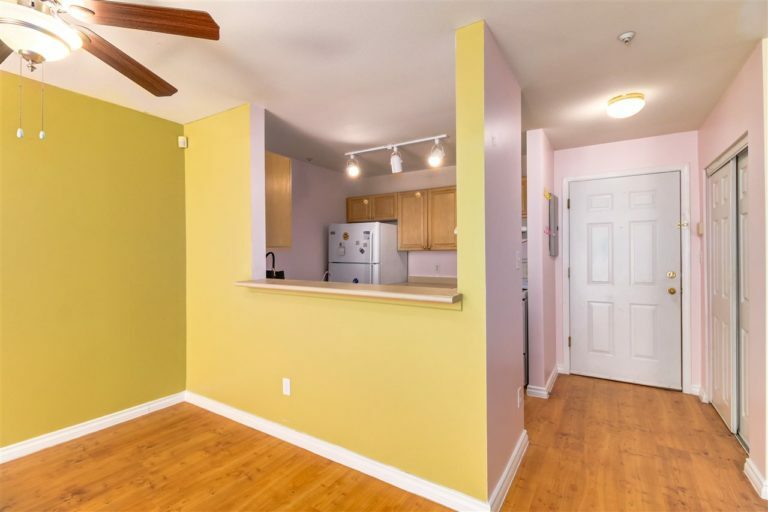 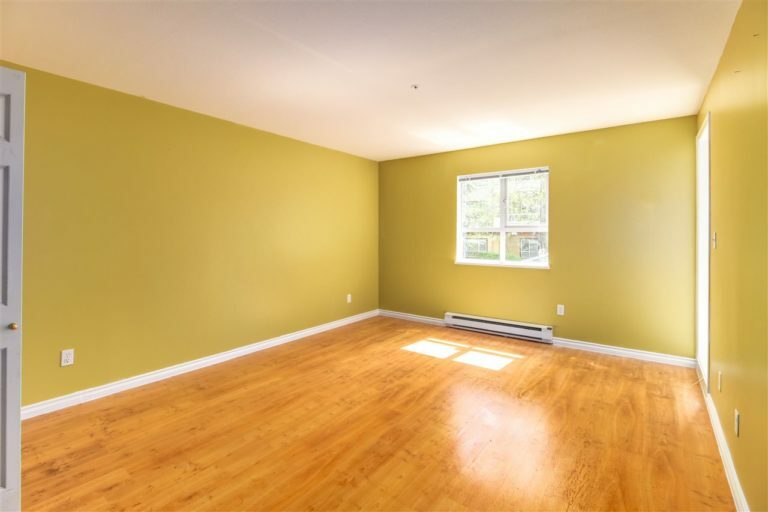 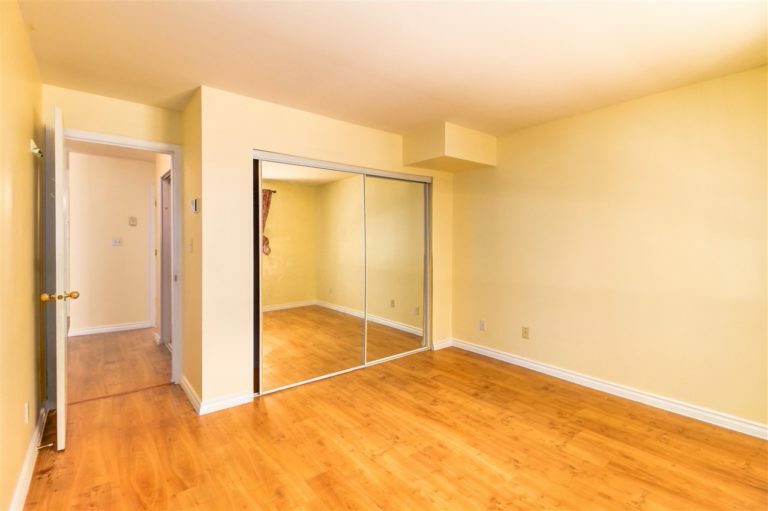 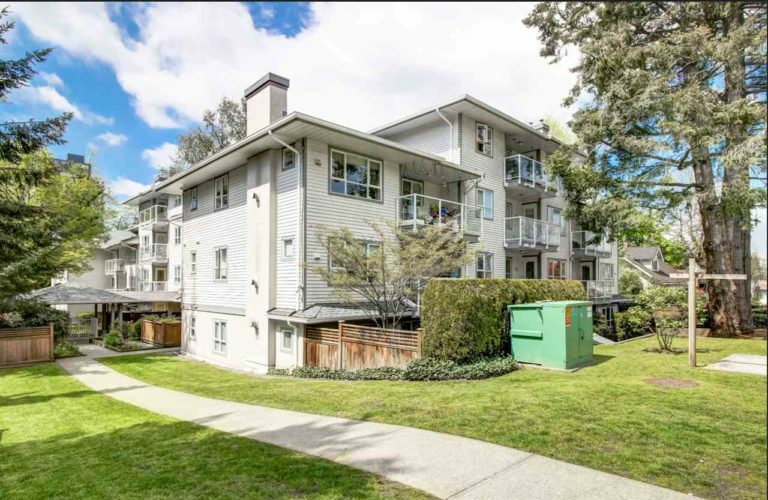 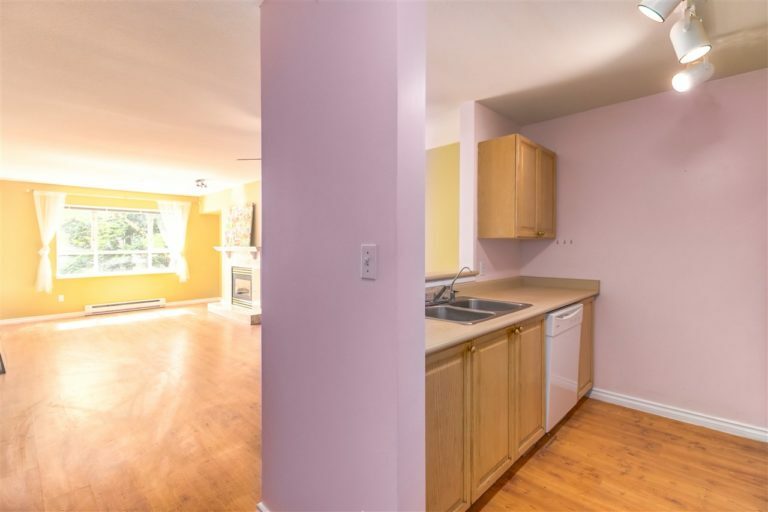 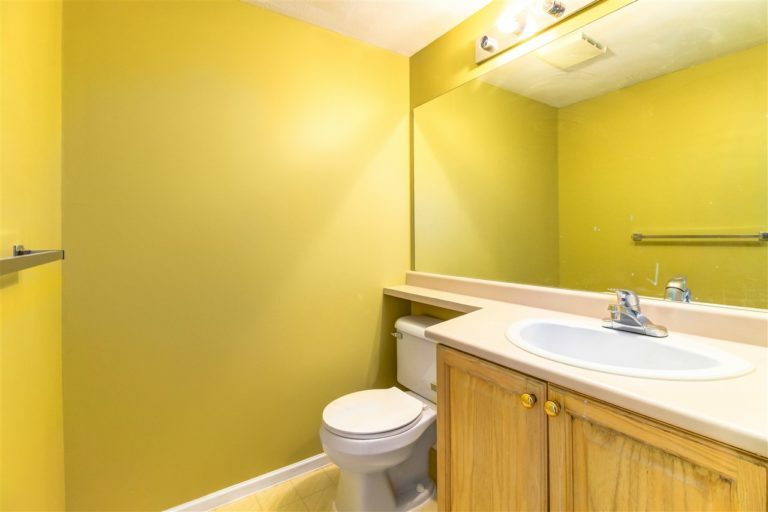 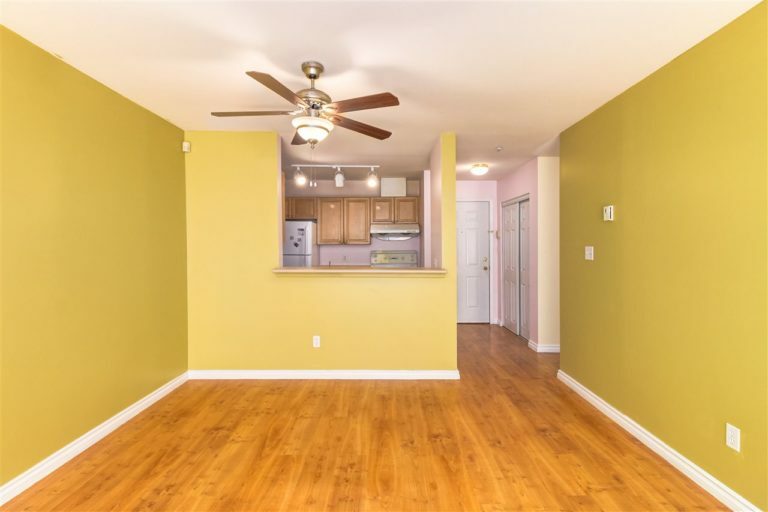 Centrally located, this two bedroom south-facing inside unit boasts a quiet treed outlook, with laminate flooring, newer paint, gas fireplace, huge walk-in closet, and over-sized room sizes in both bedrooms. 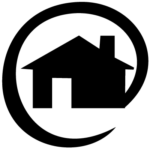 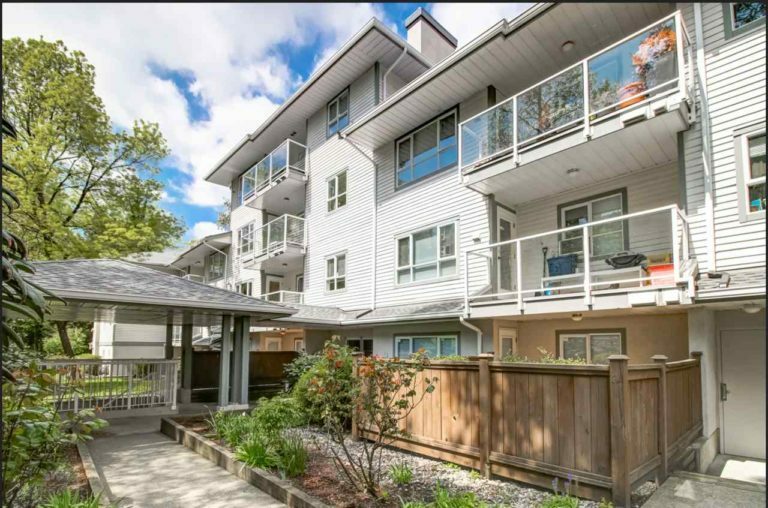 New balconies and new roof; One storage locker and one parking stall are included with this property. 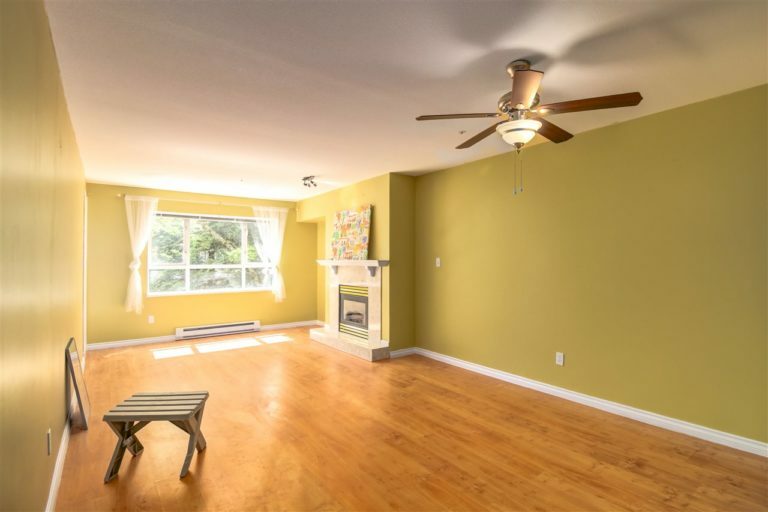 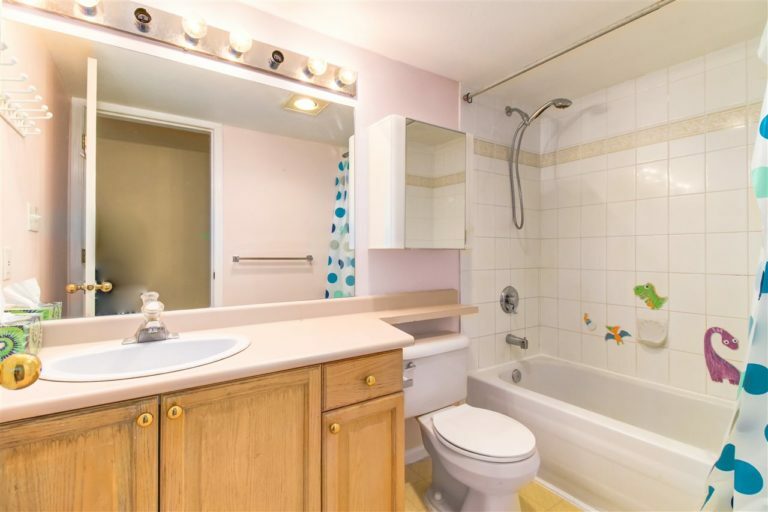 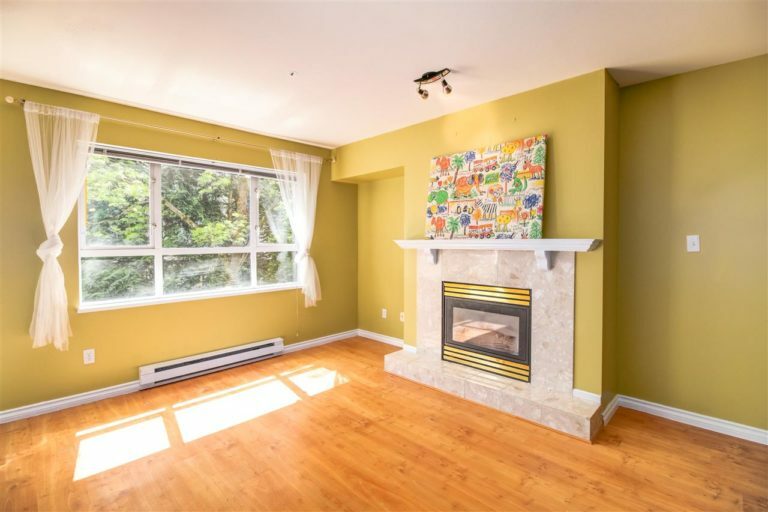 This tranquil home is close to shopping, parks, skytrain & schools.